Decision is an attempt to reduce spiraling prices as transportation union says it plans new protest actions. The Palestinian Authority (PA) said on Sunday it was ending restrictions limiting the number of traders who can import Israeli goods into the territory, in a bid to reduce spiraling prices. "The system of exclusive agencies and exclusive distributors for goods and products manufactured in Israel or foreign goods imported through an Israeli agent is cancelled," economy minister Jawad Naji told a news conference. "We will allow all interested traders to buy directly from the Israeli market without an intermediary, in compliance with the laws and mechanisms of the Palestinian Authority," he said in Ramallah. The decision does not include the import of goods made on Israeli settlements in "the West Bank," Naji said, warning that traders who deal in products from "the settlements" would face sanctions. The move, which could push down the prices of a wide range of products imported from or through Israel and sold in the PA, comes as the PA government struggles with public anger over the cost of living. Naji also said the government would institute set prices for eight essential items -- milk, eggs, meat, chicken, vegetable oil, sugar, rice and bread. He warned that the government would monitor sales of the goods and punish those selling outside the set price limits. In recent weeks, PA transportation workers and government employees have staged strikes that at times paralyzed West Bank cities, angry at rising costs, particularly of fuel. 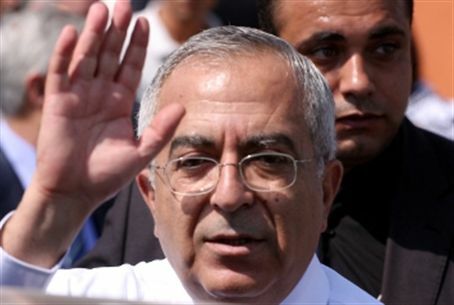 In response, prime minister Salam Fayyad announced he would slash VAT and roll back fuel price increases. He has also opened a dialogue with several top unions. But even as the dialogue continues, the transportation union said Sunday it planned two new protest actions -- a two-hour strike on Monday afternoon and a day-long strike on Wednesday.